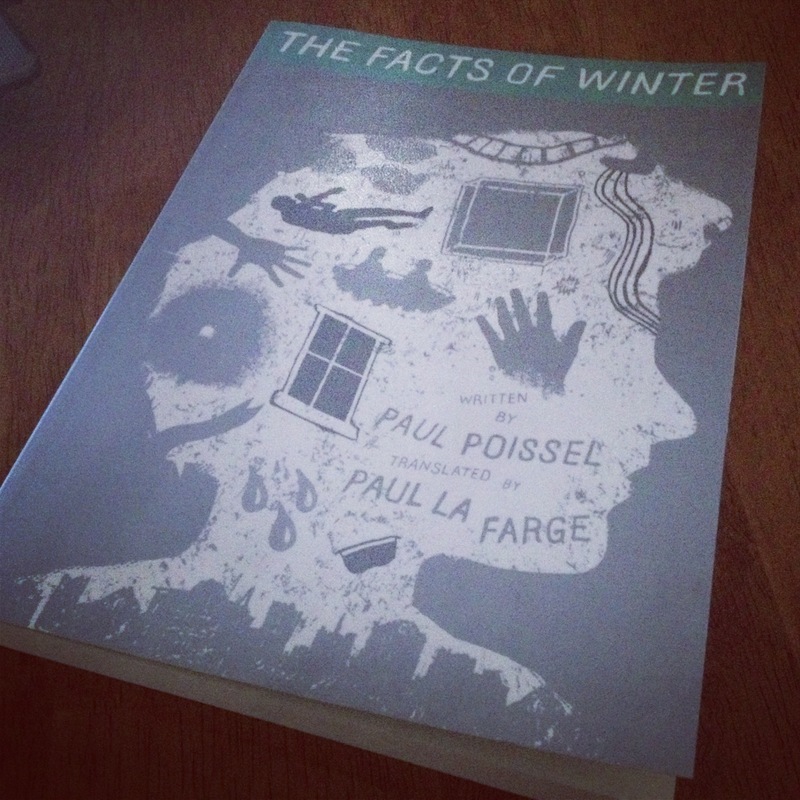 A few years ago I found a copy of The Facts of Winter in a second-hand bookshop and, for reasons I can’t now remember, didn’t buy it. I regretted it almost immediately. It’s a weird book, transcriptions of dreams from 1881, translated into English, with a long afterword detailing the translators attempts to understand why and how the dreams had come to be written. Exactly the kind of strange, curious little book I hope to find when I go into second-hand bookshops. When I first saw it I actually thought it was a true account of dreams from the Victorian era. I forgot what it was called, who it was by and didn’t know where to begin looking for another copy. I figured I’d never find it again, but then, long story short, it turned up on McSweeney’s webstore. At first I didn’t even realise it was the same book. Because the shipping from the USA to England can be quite expensive I went off to see if I could get it cheaper from a UK supplier and it was reading reviews about it elsewhere that made me realise that it was the same book. So I ordered it and then got an email saying that it was out of stock, not likely to be in stock again anytime soon, and that they would hold my order and send it to me if it ever turned up. I forgot all about it, and then, much later, it turned up. 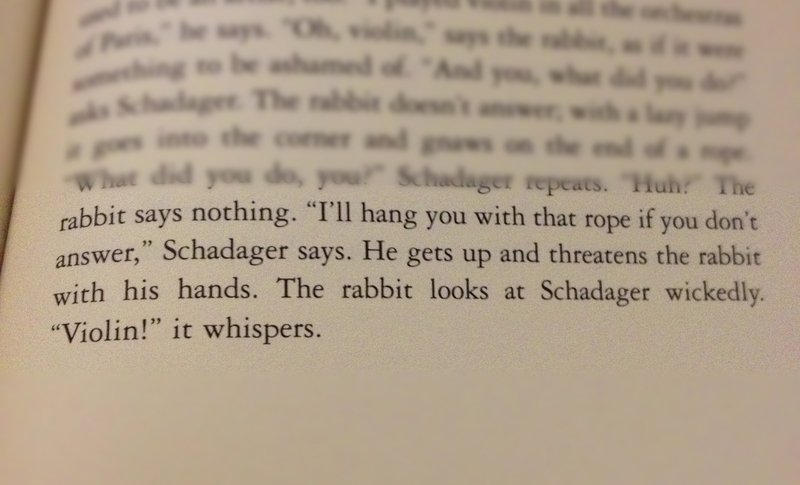 It is such a surreal book. Each page is an account of a dream, and the dreams are written in such a realistic way that it is hard to grasp them. I would get to the end of each section and feel like I shouldn’t turn the page because I hadn’t understood what I had read. I’d re-read, and still be none the wiser. Each dream felt like there was something significant I was supposed to be getting, but completely failing to see it. Have you ever sat reading while your mind wanders and then realised your eyes have been following the words but nothing has been going in? It’s like that, eyes wading through pages of bizarre non-sequiturs while you struggle to focus. If it were just that the book would just be a curious little thing. But the final section of the book is an account of the translators attempt to understand how the original text came to be, written in the second person (bravo). Some books are just lovely little treats, this is one of those. So the lesson from all this; don’t walk away from cool books in obscure shops, you might regret it and its not always so easy to jump online and buy another copy later. I used to be terrible at making decisive purchases. I once spent four weeks building up to buying myself a Belgian Bun. I wish that were a joke but it really isn’t. 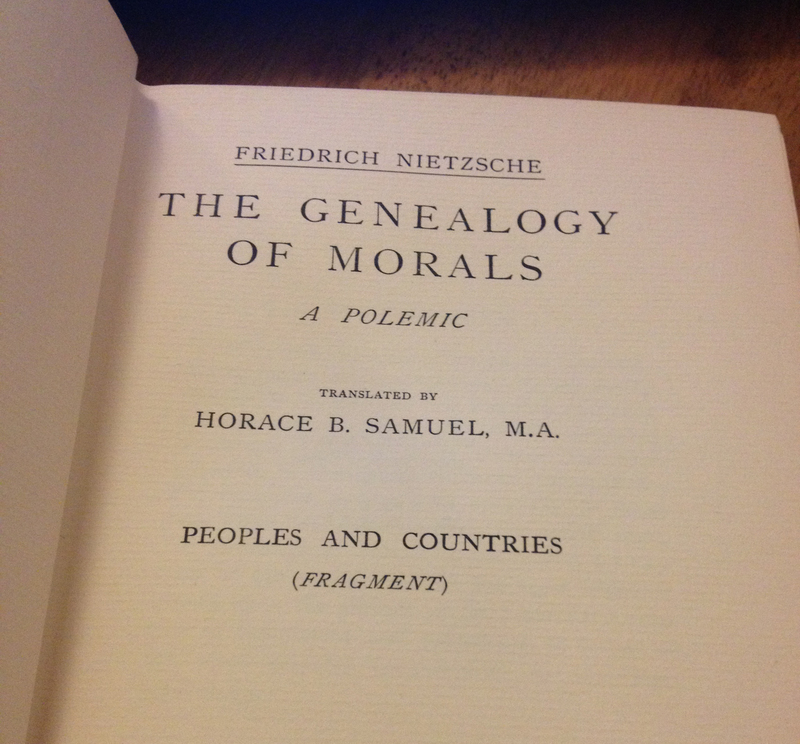 So this is why I bought that whacking great book on inorganic chemistry a couple of weeks ago and it is the reason I bought a copy of The Genealogy of Morals by Nietzsche today. 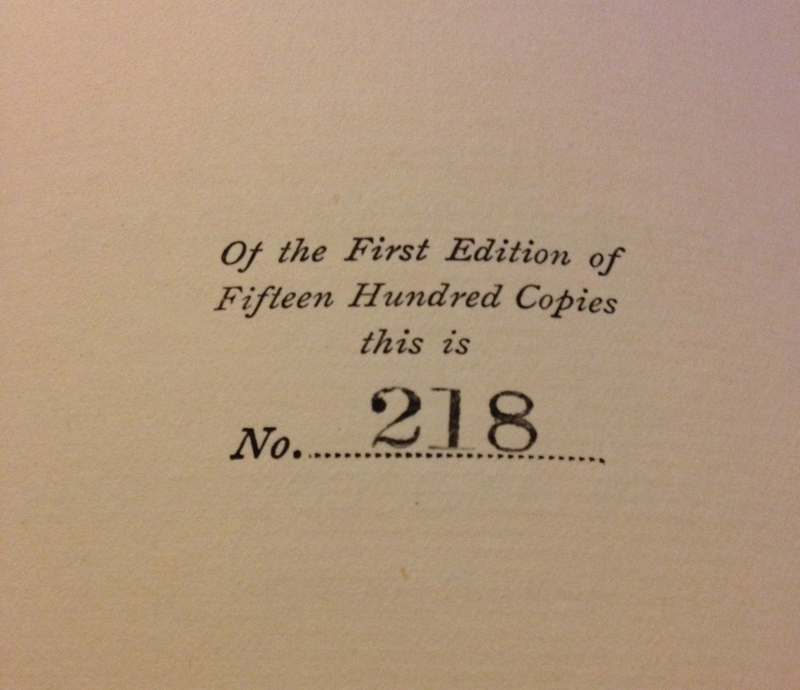 The Nietzsche is a copy from 1910, a bit battered, roughly cut and was cheaper than you might imagine. Pretty cool, huh? I would definitely be blogging about how I wish I had bought it right now if I hadn’t.